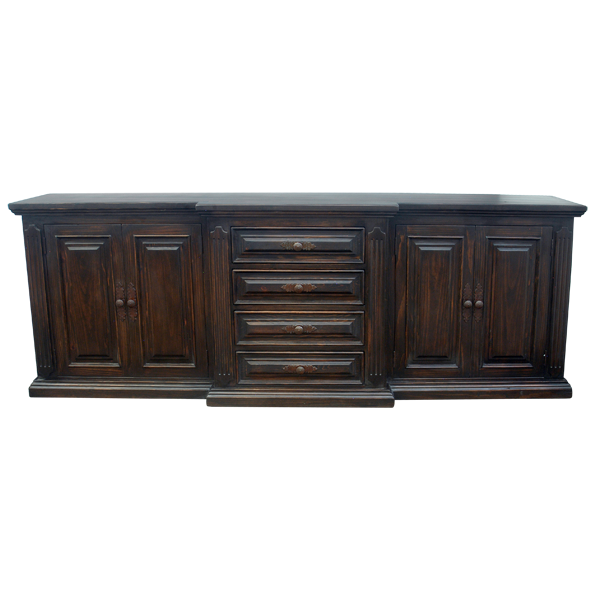 The geometric patterns of the drawers and cabinet doors of this handcrafted, Western style credenza create an innovative and luxurious design that will showcase your home décor. On each front side of the credenza is a rectangular cabinet door, and each cabinet door is adorned with a geometric cut design. Each cabinet door has a hand forged, iron, pull handle on its side, and inside each cabinet door are two shelves. Centered on the front of the credenza are four, rectangular drawers, and each drawer has a matching, geometric cut design and a hand forged, iron pull handle in its center. On each lateral side of the credenza is a decorative, rectangular cut panel. 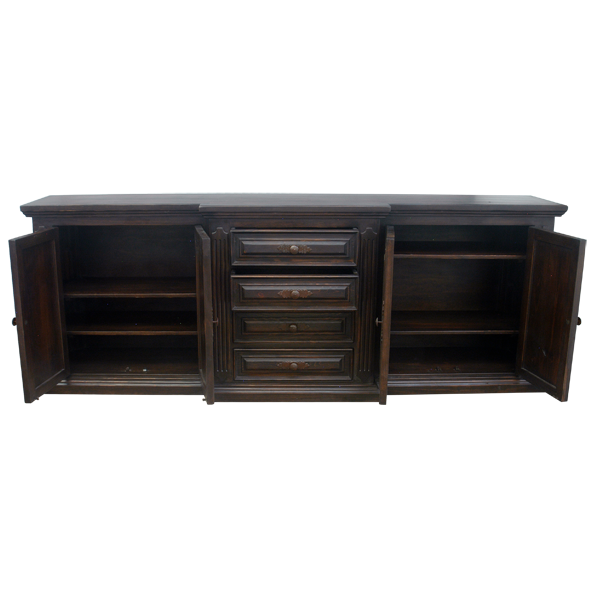 The credenza rest on a solid wood molding base, and the base tray can be used as an additional storage area. 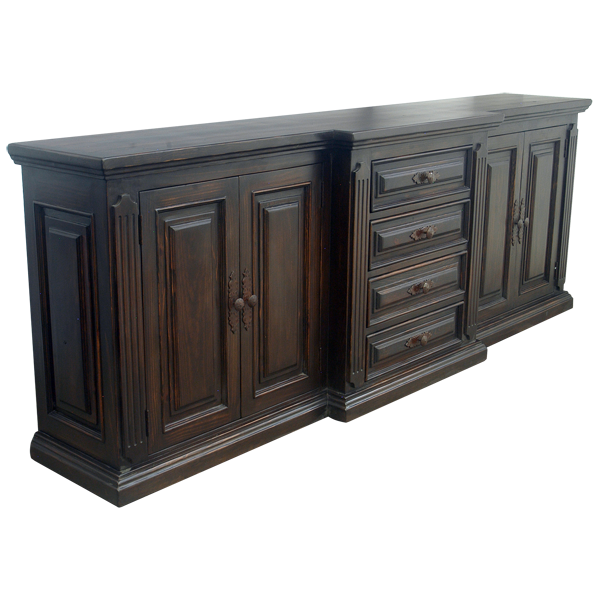 It is finished with a dark stain, and the credenza is made with the best, sustainable, solid wood available. It is 100% customizable.